1747. Clark, A. N., C. E. Lesher, S. D. Jacobsen, and Y. Wang, Anomalous density and elastic properties of basalt at high pressure: implications for reduction of seismic velocity in the Earth’s crust and upper mantle, J. Geophys. Res. 121, 4232-4248 (2016). 1746. Beam, J., J. Yang, J. Liu, C. Liu, and J. F. Lin, Elasticity of methane hydrate phases at high pressure, J. Chem. Phys. 144, 154501 (2016). 1745. Yang, J., J. F. Lin, S. D. Jacobsen, N. M. Seymour, S. N. Tkachev, and V. B. Prakapenka, Elasticity of ferropericlase and seismic heterogeneityin the Earth’s lower mantle, J. Geophys. Res. 121, 8488-8500 (2016). 1744. Zhu, S., F. Peng, H. Liu, A. Majumdar, T. Gao, and Y. Yao, Stable calcium nitrides at ambient and high pressures, Inorg. Chem. 55, 7550-7555 (2016). 1743. O'Neal, K. R., B. Holinsworth, Z. Chen, P. Peterson, K. Carreiro, J. L. Manson, M. Whangbo, Z. Li, Z. Liu, and J. Musfeldt, Spin-lattice coupling in [Ni(HF2)(pyrazine)2]SbF6 involving the HF2 sperexchange pathway, Inorg. Chem. 55, 12172-12178 (2016). 1742. Allan, A. M., A. C. Clark, T. Vanorio, W. Kanitpanyacharoen, and H. R. Wenk, On the evolution of the elastic properties of organic-rich shale upon pyrolysis-induced thermal maturation, Geophysics 81, D271-D289 (2016). 1741. Liu, J., J. F. Lin, V. Prakapenka, C. Prescher, and H. Yoshino, Phase relations of Fe3C and Fe7C3 up to 185 GPa and 5200 K: Implication for the stability of iron carbide in the Earth's core, Geophys. Res. Lett. 43, 12415-12422 (2016). 1740. Chen, K., M. Kunz, Y. Li, M. Sintubin, E. Zepeda-Alarcon, and H. R. Wenk, Compressional residual stress in Bastogne boudins revealed by synchrotron x-ray microdiffraction, Geophys. Res. Lett. 43, 6178-6185 (2016). 1739. Duwal, S. and C. S. Yoo, Phase transformations and symmetrization of dense D2S, J. Phys. Chem. C 120, 21770 (2016). 1738. Kang, Z., A. A. Banishev, G. Lee, D. A. Scripka, J. Breidenich, F. Xiao, J. Christensen, M. Zhou, C. J. Summers, D. D. Dlott, and N. N. Thadhani, Exploration of CdTe quantum dots as mesoscale pressure sensors via time-resolved shock-compression photoluminescent emission spectroscopy, J. Appl. Phys. 120, 043107 (2016). 1737. Young, D. A., H. Cynn, P. Söderlind, and A. Landa, Zero-kelvin compression isotherms of the elements 1 ≤ Z ≤ 92 to 100 GPa, J. Phys. Chem. Ref. Data 45, 043101 (2016). 1736. Hou, B., S. Kim, T. H. Kim, C. Park, C. B. Bahn, J. Kim, S. M. Hong, S. Y. Lee, and J. H. Kim, Orientation-dependent hydration structures at yttria-stabilized cubic zirconia surfaces, J. Phys. Chem. C 120, 29089-29097 (2016). 1735. Keefer, D. W., H. Guo, A. P. Purdy, A. Epshteyn, D. Y. Kim, J. V. Badding, and T. A. Strobel, Pressure-induced polymerization of LiN(CN)2, J. Phys. Chem. A 120, 9370-9377 (2016). 1734. Liu, J., R. Caracas, D. Fan, E. Bobocioiu, D. Zhang, and W. L. Mao, High-pressure compressibility and vibrational properties of (Ca,Mn)CO3, Am. Mineral. 101, 2723-2730 (2016). 1733. Ryu, Y. J., M. Kim, J. Lim, R. Dias, D. Klug, and C. S. Yoo, Dense carbon monoxide to 160 GPa: Stepwise polymerization to two-dimensional layered solid, J. Phys. Chem. C 120, 27548-27554 (2016). 1732. Shiell, T. B., D. G. McCulloch, J. E. Bradby, B. Haberl, R. Boehler, and D. R. McKenzie, Nanocrystalline hexagonal diamond formed from glassy carbon, Sci. Reports 6, 37232 (2016). 1731. Wang, Y., Z. Zhou, T. Wen, Y. Zhou, N. Li, F. Han, Y. Xiao, P. Chow, J. Sun, M. Pravica, A. Cornelius, W. Yang, and Y. Zhao, Pressure-driven cooperative spin-crossover, large-volume collapse, and semiconductor-to-metal transition in manganese(II) honeycomb lattices, J. Am. Chem. Soc. 138, 15751-15757 (2016). 1730. Zheng, H., L. Wang, K. Li, Y. Yang, Y. Wang, J. Wu, X. Dong, C. H. Wang, C. A. Tulk, J. J. Molaison, I. N. Ivanov, M. Feygenson, W. Yang, M. Guthrie, Y. Zhao, H. K. Mao, and C. Jin, Pressure induced polymerization of acetylide anions in CaC2 and 107 fold enhancement of electrical conductivity, Chem. Sci. 8, 298-304 (2016). 1729. Wu, T., T. A. Tyson, H. Chen, P. Gao, T. Yu, Z. Chen, Z. Liu, K. H. Ahn, X. Wang, and S. W. Cheong, Pressure dependent structural changes and predicted electrical polarization in perovskite RMnO3, J. Phys. : Cond. Matt. 28, 056005 (2016). 1728. Thompson, E. C., A. J. Campbell, and Z. Liu, In-situ infrared spectroscopic studies of hydroxyl in amphiboles at high pressure, Am. Mineral. 101, 706-712 (2016). 1727. Ma, Y., Z. Liu, A. Geng, T. Vogt, and Y. Lee, Structural and spectroscopic studies of alkali-metal exchanged stilbites, Micropor. Mesopor. Mater. 224, 339-348 (2016). 1726. Kong, L., G. Liu, J. Gong, Q. Hu, R. Schaller, P. Dera, D. Zhang, Z. Liu, W. Yang, K. Zhu, Y. Tang, C. Wang, S. H. Wei, T. Xu, and H. K. Mao, Simultaneous band-gap narrowing and carrier-lifetimeprolongation of organic–inorganic trihalide perovskites, Proc. Nat. Acad. Sci. 113, 8910-8915 (2016). 1725. Cheng, B., Q. Li, H. Zhang, R. Liu, Z. Yao, T. Cui, J. Liu, Z. Liu, B. Sundqvist, and B. Liu, Pressure-induced metallization and amorphization in VO2(A) nanorods, Phys. Rev. B 93, 184109 (2016). 1724. Brinzari, T. V., K. R. O'Neal, J. L. Manson, J. Schlueter, A. Litvinchuk, Z. Liu, and J. L. Musfeldt, Local lattice distortions in Mn[N(CN)2]2 under pressure, Inorg. Chem. 55, 1956-1961 (2016). 1723. Shen, G. and H. K. Mao, High-pressure studies with x-rays using diamond anvil cells, Rep. Progr. Phys, 80, 016101 (2016). 1722. Kumar, R. S., W. Gabrimicael, and A. Cornelius, Materials research at University of Nevada, Las Vegas, Mat. Res. Forum 879, 386-389 (2016). 1721. Yang, F., Y. Lin, M. Baldini, J. E. P. Dahl, R. M. K. Carlson, and W. L. Mao, Effects of molecular geometry on the properties of compressed diamondoid crystals, J. Phys. Chem. Lett. 7, 4641-4647 (2016). 1720. Yan, X., H. Dong, G. Sun, X. Ren, D. He, and W. Yang, Strength coupling in mixed phases under high pressure, Phys. Rev. B 94, 144104 (2016). 1719. Walsh, J. P. S., S. M. Clarke, Y. Meng, S. D. Jacobsen, and D. E. Freedman, Discovery of FeBi2, ACS Cent. Sci. 2, 867-871 (2016). 1718. Li, Z. Y., X. Li, J. G. Cheng, L. G. Marshall, X. Y. Li, A. M. dos Santos, W. G. Yang, J. J. Wu, J. F. Lin, G. Henkelman, T. Okada, Y. Uwatoko, H. B. Cao, H. D. Zhou, J. B. Goodenough, and J. S. Zhou, Anomalous bulk modulus in vanadate spinels, Phys. Rev. B 94, 165159 (2016). 1717. Li, Z., H. Xu, B. Liu, Q. Song, Q. Zhou, H. Song, and B. Liu, Investigation of the lattice behavior of cubic Y2O3/Eu3+ nanotubes under high pressure, Phys. Stat. Sol. B 253, 174106 (2016). 1716. Efthimiopoulos, I., Z. T. Y. Liu, M. Kucway, S. V. Khare, P. Sarin, V. Tsurkan, A. Loidl, and Y. Wang, Pressure-induced phase transitions in the CdCr2Se4 spinel, Phys. Rev. B 94, 174106 (2016). 1715. Choi, Y., X. Jiang, W. Bi, P. Lapa, R. K. Chouhan, D. Paudyal, T. Varga, D. Popov, J. Cui, D. Haskel, and J. S. Jiang, Element-resolved magnetism across the temperature- and pressure-induced spin reorientation in MnBi, Phys. Rev. B 94, 184433 (2016). 1714. Fratanduono, D. E., P. M. Celliers, D. G. Braun, P. A. Sterne, S. Hamel, A. Shamp, E. Zurek, K. J. Wu, A. E. Lazicki, M. Millot, and G. W. Collins, Equation of state, adiabatic sound speed and Grüneisen coefficient of boron carbide along the principal Hugoniot to 700 GPa (7 Mbar), Phys. Rev. B 94, 184107 (2016). 1713. Wu, L., B. Wan, H. Liu, H. Guo, Y. Yao, Z. Li, J. Zhang, F. Gao, and H. K. Mao, Coexistence of superconductivity and superhardness in beryllium hexaboride driven by inherent multicenter bonding, J. Phys. Chem. Lett. 7, 4898-4904 (2016). 1712. Zhang, H., K. Li, G. D. Cody, C. A. Tulk, X. Dong, G. Gao, J. J. Molaison, X. Liu, M. Feygenson, W. Yang, I. N. Ivanov, L. Basile, J. C. Idrobo, M. Guthrie, and H. K. Mao, Polymerization of acetonitrile via a hydrogen transfer reaction from CH3 to CN under extreme conditions, Agnew. Chem. Int. Ed. 55, 12040-12044 (2016). 1711. Naumov, I. I. and R. J. Hemley, Topological surface states in dense solid hydrogen, Phys. Rev. Lett. 117, 206403 (2016). 1710. Zhang, D., Y. Hu, and P. Dera, Compressional behavior of omphacite to 47 GPa, Phys. Chem. Min. 10, 707-715 (2016). 1709. Kaercher, P., L. Miyagi, W. Kanitpanyacheroen, E. Zepeda-Alarcon, Y. Wang, D. Parkinson, R. Lebensohn, F. De Carlo, and H. R. Wenk, Two phase deformation of lower mantle mineral analogs, Earth Planet. Sci. Lett. 456, 134-145 (2016). 1708. Qin, F., X. Wu, Y. Wang, D. Fan, S. Qin, K. Yang, and S. D. Jacobsen, High-pressure behavior of natural single-crystal epidote and clinozoisite up to 40 GPa, Phys. Chem. Min. 43, 649-659 (2016). 1707. Baker, J., R. Kumar, C. Park, C. Kenney-Benson, A. Cornelius, and N. Velisavljevic, High-pressure Seebeck coefficients and thermoelectric behaviors of Bi and PbTe measured using a Paris-Edinburgh cell, J. Synch. Rad. 23, 1368-1378 (2016). 1706. Howie, R. T., R. Turnbull, J. Binns, M. Frost, P. Dalladay-Simpson, and E. Gregoryanz, Formation of xenon-nitrogen compounds at high pressure, Sci. Reports 6, 34896 (2016). 1705. Ikuta, D., Y. Kono, and G. Shen, Pressure and temperature dependence of the structure of liquid Sn up to 5.3 GPa and 1373 K, High Press. Res. 36, 533-548 (2016). 1704. Liu, L. and Y. Bi, How far away are accurate equations of state determinations? Some issues on pressure scales and non-hydrostaticity in diamond anvil cells, Matt. Rad. Extremes 1, 224-236 (2016). 1703. Rosa, A. D., J. Pohlenz, C. de Grouchy, B. Cochain, Y. Kono, S. Pasternak, O. Mathon, T. Irifune, and M. Wilke, In situ characterization of liquid network structures at high pressure and temperature using x-ray absorption spectroscopy coupled with the Paris-Edinburgh press, High Press. Res. 36, 332-347 (2016). 1702. Steiner, M. H., E. M. Hausrath, M. E. Elwood Madden, O. Tschauner, B. L. Ehlmann, A. A. Olsen, S. R. Gainey, and J. S. Smith, Dissolution of nontronite in chloride brines and implications for the aqueous history of Mars, Geochim. Cosmochim. Acta 195, 259-276 (2016). 1701. Yu, C., Y. Ren, L. Cui, Z. Ma, and W. Yang, Anomalous expansion of Nb nanowires in a NiTi matrix under high pressure, Appl. Phys. Lett. 109, 161903 (2016). 1700. Strobel, T. A., M. Somayazulu, S. V. Sinogeikin, P. Dera, and R. J. Hemley, Hydrogen-stuffed, quartz-like water ice, J. Am. Chem. Soc. 138, 13786-13789 (2016). 1699. Vinitsky, E. A., T. Muramatsu, M. Somayazulu, W. K. Wanene, Z. Liu, D. Chandra, and R. J. Hemley, Structural, vibrational, and electronic properties of BaReH9 under pressure, J. Phys. : Cond. Matt. 28, 505701 (2016). 1697. Gu, T., M. Li, C. A. McCammon, and K. K. M. Lee, Redox-induced lower mantle density contrast and effect on mantle structure and primitive oxygen, Nature Geosci. 9, 723-727 (2016). 1696. He, L., Y. Jia, S. Zhang, X. Hong, C. Jin, and S. Li, Pressure-induced superconductivity in the three-dimensional topological Dirac semimetal Cd3As2, NPJ Quant. Matts. 1, 16014 (2016). 1695. Holland, M., N. Charles, J. M. Rondinelli, and K. R. Poeppelmeier, Reconstructive transitions from rotations of rigid heteroanionic polyhedra, J. Am. Chem. Soc. 138, 11882-11889 (2016). 1694. Ikuta, D., Y. Kono, and G. Shen, Structural analysis of liquid aluminum at high pressure and high temperature using the hard sphere model, J. Appl. Phys. 120, 135901 (2016). 1693. Lü, X., Y. Wang, C. C. Stoumpos, Q. Hu, X. Cuo, H. Chen, L. Yang, J. S. Smith, W. Yang, Y. Zhao, H. Xu, M. G. Kanatzidis, and Q. Jia, Enhanced structural stability and photo responsiveness of CH3NH3SnI3 perovskite via pressure-induced amorphization and recrystallization, Adv. Mater. 28, 8663-8668 (2016). 1692. Samudrala, G. K., S. L. Moore, N. Velisavljevic, G. Tsoi, P. A. Baker, and Y. K. Vohra, Nanocrystalline diamond micro-anvil grown on single crystal diamond as a generator of ultra-high pressures, AIP Adv. 6, 095027 (2016). 1691. Santamaria-Perez, D., D. Errandonea, P. Rodriguez-Hernandez, A. Muñoz, R. Lacomba-Perales, P. A. Polian, and C. Meng, Polymorphism in strontium tungstate SrWO4 under quasi-hydrostatic compression, Inorg. Chem. 55, 10406-10414 (2016). 1690. Struzhkin, V. V., D. Y. Kim, E. Stavrou, T. Muramatsu, H. K. Mao, C. J. Pickard, R. J. Needs, V. B. Prakapenka, and A. F. Goncharov, Synthesis of sodium polyhydrides at high pressures, Nature Comm. 7, 12267 (2016). 1689. Wu, X., Y. Wu, J. F. Lin, J. Liu, Z. Mao, X. Guo, T. Yoshino, C. McCammon, V. B. Prakapenka, and Y. Xiao, Two-stage spin transition of iron in FeAl-bearing phase D at lower mantle, J. Geophys. Res. : Solid Earth 121, 6411-6420 (2016). 1688. Zhu, J., Y. Wang, S. Li, J. W. Howard, J. Neuefeind, Y. Ren, H. Wang, C. Liang, W. Yang, R. Zou, C. Jin, and Y. Zhao, Sodium ion transport mechanisms in antiperovskite electrolytes Na3OBr and Na4OI2: An in situ neutron diffraction study, Inorg. Chem. 55, 5993-5998 (2016). 1687. Ding, Y., L. Yang, C. C. Chen, H. S. Kim, M. J. Han, W. Luo, Z. Feng, M. Upton, D. Casa, J. Kim, T. Gog, Z. Zeng, G. Cao, H. K. Mao, and M. Van Veenendaal, Pressure-induced confined metal from the Mott insulator Sr3Ir2O7, Phys. Rev. Lett. 116, 216402 (2016). 1686. Zhang, F. X., C. L. Tracy, J. Shamblin, R. I. Palomares, M. Lang, S. Park, C. Park, S. Tkachev, and R. C. Ewing, Pressure-induced phase transitions of β-type pyrochlore CsTaWO6, RSC Adv. 6, 94287-94293 (2016). 1685. Xiao, P., Z. Kang, A. A. Banishev, J. Breidenich, D. A. Scripka, J. M. Christensen, C. J. Summers, D. D. Dlott, N. N. Thadhani, and M. Zhou, Laser-excited optical emission response of CdTe quantum dot/polymer nanocomposite under shock compression, Appl. Phys. Lett. 108, 011908 (2016). 1684. Kang, Z., A. A. Banishev, G. Lee, D. A. Scripka, J. Breidenich, F. Xiao, J. Christensen, M. Zhou, C. J. Summers, D. D. Dlott, and N. N. Thadhani, Exploration of CdTe quantum dots as mesoscale pressure sensors via time-resolved shock-compression photoluminescent emission spectroscopy, J. Appl. Phys. 120, 043107 (2016). 1683. Bassett, W. P. and D. D. Dlott, Shock initiation of explosives: Temperature spikes and growth spurts, Appl. Phys. Lett. 109, 091903 (2016). 1682. Bassett, W. P. and D. D. Dlott, High dynamic range emission measurements of shocked energetic materials: Octahydro-1,3,5,7-tetranitro-1,3,5,7-tetrazocine (HMX), J. Appl. Phys. 119, 225103 (2016). 1681. Yang, F. C., J. A. Muñoz, O. Hellman, L. Mauger, M. S. Lucas, S. J. Tracy, M. B. Stone, D. L. Abernathy, Y. Xiao, and B. Fultz, Thermally-driven electronic topological transition in FeTi, Phys. Rev. Lett. 117, 076402 (2016). 1680. Miyagi, L. and H. R. Wenk, Texture development and slip systems in bridgmanite and bridgmanite + ferropericlase aggregates, Phys. Chem. Min. 43, 597-613 (2016). 1679. Zhou, Y., X. Chen, N. Li, R. Zhang, X. Wang, C. An, Y. Zhou, X. Pan, F. Song, B. Wang, W. Yang, Z. Yang, and Y. Zhang, Pressure-induced Td to 1T′ structural phase transition in WTe2, AIP Adv. 6, 075008 (2016). 1678. Wang, Y. Q., P. C. Lu, J. J. Wu, J. Liu, X. C. Wang, J. W. Zhao, W. Bi, E. E. Alp, C. Y. Park, D. Popov, C. Q. Jin, J. Sun, and J. F. Lin, Phonon density of states of single-crystal SrFe2As2 across the collapsed phase transition at high pressure, Phys. Rev. B 94, 014516 (2016). 1677. Wang, Y., J. Zhu, W. Yang, T. Wen, M. Pravica, Z. Liu, M. Hou, Y. Fei, L. Kang, Z. Lin, C. Jin, and Y. Zhao, Reversible switching between pressure-induced amorphization and thermal-driven recrystallization in VO2(B) nanosheets, Nature Comm. 7, 12214 (2016). 1676. Pravica, M., Y. Wang, D. Sneed, S. Reiser, and M. White, High pressure studies of potassium perchlorate, Chem. Phys. Lett. 660, 37-42 (2016). 1675. Dong, Z., F. Xiao, A. Zhao, L. Liu, T. K. Sham, and Y. Song, Pressure induced structural transformations of anatase TiO2 nanotubes probed by Raman spectroscopy and synchrotron X-ray diffraction, RSC Adv. 6, 76142-76150 (2016). 1674. Liu, X., X. Chen, H. A. Ma, X. Jia, J. Wu, T. Yu, Y. Wang, J. Guo, S. Petitgirard, C. R. Bina, and S. D. Jacobsen, Ultrahard stitching of nanotwinned diamond and cubic boron nitride in ultrahard C2-BN composite, Sci. Reports, submitted. 1673. Hemawan, K. W., D. W. Keefer, J. V. Badding, and R. J. Hemley, Generation of microwave capillary argon plasmas at atmospheric pressure, IEEE Trans. Plasma Sci. 44, 2603-2607 (2016). 1672. Li, N., B. Manoun, L. Tang, F. Ke, F. Liu, H. Dong, P. Lazor, and W. Yang, Pressure-induced structural and electronic transition in Sr2ZnWO6 double perovskite, Inorg. Chem. 55, 6770-6775 (2016). 1671. 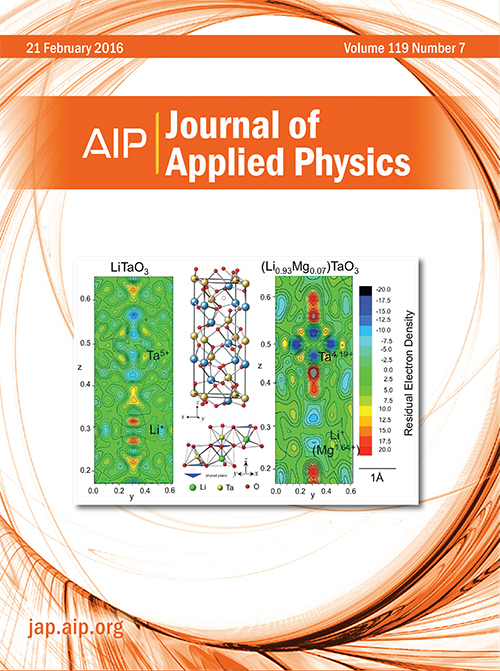 Dorfman, S. M., S. E. Dutton, V. Potapkin, A. I. Chumakov, J. P. Rueff, P. Chow, Y. Xiao, R. J. Cava, T. S. Duffy, C. A. McCammon, and P. Gillet, Electronic transitions of iron in almandine-composition glass to 91 GPa, Am. Mineral. 101, 1659-1667 (2016). 1670. Feng, B., V. I. Levitas, and R. J. Hemley, Large elastoplasticity under static megabar pressures: formulation and application to compression of samples in diamond anvil cells, Int. J. Plasticity 84, 33-57 (2016). 1669. Glazyrin, K., N. Miyajima, J. S. Smith, and K. K. M. Kee, Compression of a multiphase mantle assemblage: Effects of undesirable stressand stress annealing on the iron spin state crossover in ferropericlase, J. Geophys. Res. : Solid Earth 121, 3377-3392 (2016). 1668. Huo, B., S. Kim, T. H. Kim, J. Kim, S. M. Hong, C. B. Bahn, C. Park, and J. H. Kim, The hydration structure at yttria-stabilized cubic zirconia (110)-water interface with sub-Ångström resolution, Sci. Reports 6, 27916 (2016). 1667. Liu, G., L. Kong, J. Yan, Z. Liu, H. Zhang, P. Lei, T. Xu, H. K. Mao, and B. Chen, Nanocrystals in compression: unexpected structural phase transition andamorphization due to surface impurities, Nanoscale 8, 11803 (2016). 1666. Stillwell, R. L., Z. Jenei, S. T. Weir, Y. K. Vohra, and J. R. Jeffries, Superconducting Bi2Te: Pressure-induced universality in the (Bi2)m(Bi2Te3)n series, Phys. Rev. B 93, 094511 (2016). 1665. McWilliams, R. S., D. A. Dalton, M. F. Mahmood, and A. F. Goncharov, Optical properties of fluid hydrogen at the transition to a conducting state, Phys. Rev. Lett. 116, 255501 (2016). 1664 Shelton, H., M. C. Barkley, P. Dera, R. T. Downs, and R. Miletich, Hydrogen bond effects on compressional behavior of isotypic minerals: High-pressure polymorphism of Be(OH)2, Phys. Chem. Min. 43, 571 (2016). 1663. Banishev, A. A., W. L. Shaw, W. P. Bassett, and D. D. Dlott, High-speed laser-launched flyer impacts studied with ultrafast photography and velocimetry, J. Dynamic Behavior Mater. 2, 194-206 (2016). 1662. Bi, W., J. Lim, G. Fabbris, J. Zhao, D. Haskel, E. E. Alp, M. Y. Hu, P. Chow, Y. Xiao, W. Xu, and J. S. Schilling, Magnetism of europium under extreme pressures, Phys. Rev. B 93, 184424 (2016). 1661. Gréaux, S., Y. Kono, Y. Wang, A. Yamada, C. Zhou, Z. Jing, T. Inoue, Y. Higo, T. Irifune, N. Sakamoto, and H. Yurimoto, Sound velocities of aluminum-bearing stishovitein the mantle transition zone, Geophys. Res. Lett. 43, 4239-4246 (2016). 1660. Hu, Q., D. Y. Kim, W. Yang, L. Yang, Y. Meng, L. Zhang, and H. K. Mao, FeO2 and FeOOH under deep lower-mantle conditions and Earth’s oxygen–hydrogen cycles, Nature 534, 241-244 (2016). 1659. Liu, J., J. Li, R. Hrubiak, and J. S. Smith, Origins of ultralow velocity zones through slab-derived metallic melt, Proc. Nat. Acad. Sci. 113, 5547-5551 (2016). 1658. Reagan, M. M., A. E. Gleason, L. L. Daemen, Y. Xiao, and W. L. Mao, High-pressure behavior of the polymorphs of FeOOH, Am. Mineral. 101, 1483-1488 (2016). 1657. Zhang, D., J. M. Jackson, J. Zhao, W. Sturhahn, E. E. Alp, M. Y. Hu, T. S. Toellner, C. A. Murphy, and V. B. Prakapenka, Temperature of Earth's core constrained from melting of Fe and Fe0.9Ni0.1 at high pressures, Earth Planet. Sci. Lett. 477, 72-83 (2016). 1656. Ma, C., O. Tschauner, J. R. Beckett, Y. Liu, G. R. Rossman, S. V. Sinogeikin, J. S. Smith, and L. A. Taylor, Ahrensite, γ-Fe2SiO4, a new shock-metamorphic mineral from the Tissint meteorite: implications for the Tissint shock event on Mars, Geochim. Cosmochim. Acta 184, 240-256 (2016). 1655. Thompson, E. C., B. A. Chidester, R. A. Fischer, G. I. Myers, D. L. Heinz, V. B. Prakapenka, and A. J. Campbell, Equation of state of pyrite to 80 GPa and 2400 K, Am. Mineral. 101, 1046-1051 (2016). 1654. Yan, X., H. Dong, Y. Li, C. Lin, C. Park, D. He, and W. Yang, Phase transition induced strain in ZnO under high pressure, Sci. Reports 6, 24958 (2016). 1653. Zhang, L., Y. Meng, and H. K. Mao, Unit cell determination of coexisting postperovskite and H-phase in (Mg,Fe)SiO3 using multigrain XRD: compositional variation across a laser heating spot at 119 GPa, Prog. Earth. Planet. Sci. 3, 13 (2016). 1652. Tracy, S. J., L. Mauger, H. L. Smith, H. J. Tan, J. E. Herriman, Y. M. Xiao, and B. T. Fultz, Polaron mobility and disordering of the sodium sublattice in triphylite-NaxFePO4, Chem. Mater. 28, 3051-3059 (2016). 1651. Muramatsu, T., L. V. Gasparov, H. Berger, R. J. Hemley, and V. V. Struzhkin, Electrical resistance of single-crystal magnetite (Fe3O4) under quasi-hydrostatic pressures up to 100 GPa, J. Appl. Phys. 119, 135903 (2016). 1650. Butch, N. P., J. Paglione, P. Chow, Y. Xiao, C. A. Marianetti, C. H. Booth, and J. R. Jeffries, Pressure-resistant intermediate valence in the Kondo insulator SmB6, Phys. Rev. Lett. 116, 156401 (2016). 1649. Ciezak-Jenkins, J. A., High-pressure polymorphism of the electrochemically active organic molecule tetrahydroxy-p-benzoquinone, J. Mol. Struct. 1119, 71-77 (2016). 1648. Ferrari, S., R. S. Kumar, F. Grinblat, J. C. Aphesteguy, F. D. Saccone, and D. Errandonea, In-situ high-pressure x-ray diffraction study of zinc ferrite nanoparticles, Solid State Sci. 56, 68-72 (2016). 1647. Mast, D. S., E. Kim, E. M. Siska, F. Poineau, K. R. Czerwinski, B. Lavina, and P. M. Forester, Equation of state for technetium from x‐ray diffraction and first-principle calculations, J. Phys. Chem. Solids 95, 6-11 (2016). 1646. Shahar, A., E. A. Schauble, R. Caracas, A. E. Gleason, M. M. Reagan, Y. Xiao, J. Shu, and W. L. Mao, Pressure-dependent isotopic composition of iron alloys, Science 352, 580-582 (2016). 1645. Tang, F., L. J. Zhang, F. L. Liu, F. Sun, W. G. Yang, J. L. Wang, X. R. Liu, and R. Shen, Pressure-induced solidifications of liquid sulfur below and above λ-transition, Chin. Phys. B 25, 046102 (2016). 1644. Kong, M., Z. Liiu, T. Vogt, and Y. Lee, Chabazite structures with Li+, Na+, Ag+, K+, NH4+, Rb+ and Cs+ as extra-framework cations, Micropor. Mesopor. Mater. 221, 253-263 (2016). 1643. Liu, X., X. Jia, M. Zhao, and H. A. Ma, Diamond crystallization with a carbonyl nickel catalyst under high pressure and temperature, Cryst. Eng. Comm. 18, 1924 (2016). 1642. O'Neal, K. R., J. G. Cherian, A. Zak, R. Tenne, Z. Liu, and J. L. Musfeldt, High pressure vibrational properties of WS2 nanotubes, Nano Lett. 16, 993-999 (2016). 1641. O'Neal, K. R., J. Zhou, J. G. Cherian, M. M. Turnbull, C. P. Landee, P. Jena, Z. Liu, and J. L. Musfeldt, Pressure-induced structural transition in copper pyrazine dinitrate and implications for quantum magnetism, Phys. Rev. B 93, 104409 (2016). 1640. Zhang, F. X., C. Tracy, M. Lang, and R. C. Ewing, Stability of fluorite-type La2Ce2O7 under extreme conditions, J. Alloys Comp. 674, 168-173 (2016). 1639. Montgomery, J. M., G. K. Samudrala, N. Velisavljevic, and Y. Vohra, High-pressure high-temperature phase diagram of gadolinium studied using a boron-doped heater anvil, J. Appl. Phys. 119, 135902 (2016). 1638. Kono, Y., C. Kenney-Benson, D. Ikuta, Y. Shibazaki, Y. Wang, and G. Shen, Ultrahigh-pressure polyamorphism in GeO2 glass with coordination number >6, Proc. Nat. Acad. Sci. 113, 3436-3441 (2016). 1637. Jacobsen, M. K., N. Velisavljevic, D. M. Dattelbaum, R. Chellappa, and C. Park, High pressure and temperature equation of state and spectroscopic study of CeO2, J. Phys. : Cond. Matt. 28, 155401 (2016). 1636. Efthimiopoulos, I., C. Buchan, and Y. Wang, Structural properties of Sb2S3 under pressure: evidence of an electronic topological transition, Sci. Reports 6, 24246 (2016). 1635. Bhadram, V. S., D. Y. Kim, and T. A. Strobel, High-pressure synthesis and characterization of incompressible titanium pernitride, Chem. Mater. 28, 1616-1620 (2016). 1634. Murphy, C. A., Hydrogen in the Earth's core: Review of the structural, elastic, and thermodynamic properties of iron-hydrogen alloys, in Deep Earth: Physics and Chemistry of the Lower Mantle and Core (eds. H. Terasaki and Fischer, R. A. ), 255-264 (American Geophysical Union, Washington, DC, 2016). 1633. Romanowicz, B., A. Cao, B. Godwal, H. R. Wenk, S. Ventosa, and R. Jeanloz, Seismic anisotropy in the Earth’s innermost innercore: Testing structural models against mineralphysics predictions, Geophys. Res. Lett. 43, 93-100 (2016). 1632. Millot, M., N. Dubrovinskaia, A. Černok, S. Blaha, L. Dubrovinsky, D. G. Braun, P. M. Celliers, G. W. Collins, J. H. Eggert, and R. Jeanloz, Shock compression of stishovite and melting of silica at planetary interior conditions, Science 347, 418-420 (2016). 1631. Shu, Y., W. Hu, Z. Liu, G. Shen, B. Xu, Z. Zhao, J. Hu, Y. Wang, Y. Tian, and D. Yu, Coexistence of multiple metastable polytypes in rhombohedral bismuth, Sci. Reports 6, 20337 (2016). 1630. Wang, P., Y. Wang, L. Wang, Z. Zhang, X. Yu, J. Zhu, S. Wang, J. Qin, K. Leinenweber, H. Chen, D. He, and Y. Zhao, Elastic, magnetic and electronic properties of iridium phosphide Ir, Sci. Reports 6, 21787 (2016). 1629. Hushur, A., M. Manghnani, H. Werheit, and P. Dera, High-pressure phase transition makes B4.3C boron carbide a wide-gap semiconductor, J. Phys. : Cond. Matt. 28, 045403 (2016). 1628. Zhou, Y., J. Wu, W. Ning, N. N. Li, Y. Du, X. Chen, R. Zhang, Z. Chi, X. Wang, X. Zhu, P. Lu, C. Ji, W. Wan, Z. Yang, J. R. Sun, W. Yang, M. Tian, Y. Zhang, and H. K. Mao, Pressure-induced superconductivity in a three-dimensional topological material ZrTe, Proc. Nat. Acad. Sci. 113, 2904-2909 (2016). 1627. Dias, R., M. Kim, and C. S. Yoo, Structural phase transitions and metallization of GeS at high pressures, Phys. Rev. B 93, 104107 (2016). 1626. Duwal, S. and C. S. Yoo, Shear-induced isostructural phase transition and metallization of layered tungsten disulfide under non-hydrostatic compression, J. Phys. Chem. C 120, 5101 (2016). 1625. Lu, S., H. Liu, I. I. Naumov, S. Meng, Y. Li, J. S. Tse, B. Yang, and R. J. Hemley, Superconductivity in dense carbon-based materials, Phys. Rev. B 93, 104509 (2016). 1624. Karandikar, A. and R. Boehler, Flash melting of tantalum in a diamond cell to 85 GPa, Phys. Rev. B 93, 054107 (2016). 1623. Satapathy, S., M. Ahart, D. Dandekar, R. J. Hemley, B. Schuster, and P. Khoma, Single-crystal elastic properties of aluminum oxynitride (AlON) from Brillouin scattering, J. Am. Ceram. Soc. 99, 1383-1389 (2016). 1622. Huang, Q. H., K. N. Tran, J. M. Rodgers, D. H. Bartlett, R. J. Hemley, and T. Ichiye, A molecular perspective on the limits of life: Enzymes under pressure, Cond. Matt. Phys. 19, 22801 (2016). 1621. Liu, H., Y. Li, G. Gao, J. S. Tse, and I. I. Naumov, Crystal structure and superconductivity of PH3 at high pressures, J. Phys. Chem. C 120, 3458-3461 (2016). 1620. Shamp, A., T. Terpstra, T. Bi, Z. Falls, P. Avery, and E. Zurek, Decomposition products of phosphone under pressure: PH2 stable and superconducting?, J. Am. Chem. Soc. 138, 1884-1892 (2016). 1619. Zeng, Q., Y. Lin, Y. Liu, Z. Zeng, C. Y. Shi, B. Zhang, H. Lou, S. V. Sinogeiken, Y. Kono, C. Kenney-Benson, C. Park, W. Yang, W. Wang, H. Sheng, H. K. Mao, and W. L. Mao, General 2.5 power law of metallic glasses, Proc. Nat. Acad. Sci. 113, 1714-1718 (2016). 1618. Tanis, E. A., A. Simon, Y. Zhang, P. Chow, Y. Xiao, J. M. Hanchar, O. Tschauner, and G. Shen, Rutile solubility in NaF-NaCl-KCl-bearing aqueous fluids at 0.5-2.79 GPa and 250-650°C, Geochim. Cosmochim. Acta 177, 170-181 (2016). 1617. Liu, J., J. F. Lin, A. Alatas, Y. M. Hu, J. Zhao, and L. S. Dubrovinsky, Seismic parameters of hcp-Fe alloyed with Ni and Siin the Earth’s inner core, J. Geophys. Res. 121, 610-623 (2016). 1616. Lipp, M. J., J. R. Jeffries, H. Cynn, J. H. P. Klepeis, W. J. Evans, D. R. Mortensen, G. T. Seidler, Y. Xiao, and P. Chow, Comparison of the high-pressure behavior of the cerium oxides Ce2O3 and CeO2, Phys. Rev. B 93, 064106 (2016). 1615. Kim, M. and C. S. Yoo, Phase transitions in I2O5 at high pressures: Raman and x-ray diffraction studies, Chem. Phys. Lett. 648, 13-18 (2016). 1614. Yamanaka, T., Y. Nakamoto, F. Takei, M. Ahart, H. K. Mao, and R. J. Hemley, Pressure-induced ferroelectric to paraelectric transition in LiTaO3 and (Li,Mg)TaO3, J. Appl. Phys. 119, 075902 (2016). 1613. Xiao, F., Z. Dong, H. Mao, J. Liu, X. Sun, and Y. Song, Morphology- and lattice stability-dependent performance of nanostructured Li4Ti5O12 probed by in situ high-pressure Raman spectroscopy and synchrotron X-ray diffraction, Cryst. Eng. Comm. 18, 736-743 (2016). 1612. Lin, C., J. S. Smith, S. V. Sinogeikin, C. Park, Y. Kono, C. Kenney-Benson, E. Rod, and G. Shen, Kinetics of the B1-B2 phase transition in KCl under rapid compression, J. Appl. Phys. 119, 045902 (2016). 1611. Frost, M., R. T. Howie, P. Dalladay-Simpson, A. F. Goncharov, and E. Gregoryanz, Novel high-pressure nitrogen phase formed by compression at low temperature, Phys. Rev. B 93, 024113 (2016). 1610. Smith, S. J., J. M. Montgomery, and Y. K. Vohra, High-pressure high-temperature phase diagram of organic crystal paracetamol, J. Phys. : Cond. Matt., 28, 035101 (2016). 1609. Wang, Y., T. Wen, C. Park, C. Kenney-Benson, M. Pravica, W. Yang, and Y. Zhao, Robust high pressure stability and negative thermal expansion in sodium-rich antiperovskites Na3OBr and Na4OI2, J. Appl. Phys. 119, 025901 (2016). 1608. Gu, T., Y. Fei, X. Wu, and S. Qin, Phase stabilities and spin transitions of Fe3(S1−xPx) at high pressure and its implications in meteorites, Am. Mineral. 101, 205-210 (2016). 1607 Zhang, L., D. Popov, Y. Meng, J. Wang, C. Ji, B. Li, and H. Mao, In-situ crystal structure determination of seifertite SiO2 at 129 GPa: Studying a minor phase near Earth’s core–mantle boundary, Am. Mineral. 101, 231-234 (2016). 1606. Li, Y., L. Wang, H. Liu, Y. Zhang, J. Hao, C. J. Pickard, J. R. Nelson, R. J. Needs, W. Li, Y. Huang, I. Errea, M. Calandra, F. Mauri, and Y. Ma, Dissociation products as structures of solid H2S at strong compression, Phys. Rev. B 93, 020103(R) (2016). 1605. Wu, Y., X. Wu, J. F. Lin, C. A. McCammon, Y. Xiao, P. Chow, V. B. Prakapenka, H. Yoshino, S. M. Zhai, and S. Qin, Spin transition of ferric iron in the NAL phase: Implications for the seismic heterogeneities of subducted slabs in the lower mantle, Earth Planet. Sci. Lett. 434, 91-100 (2016). 1604. Tracy, S. J., Polaron hopping in olivine phosphates studied by nuclear resonant scattering, Ph.D. Thesis, California Institute of Technology (2016). 1603. Raju, S. V., B. K. Godwal, J. Yan, R. Jeanloz, and S. K. Saxena, Yield strength of Ni–Al–Cr superalloy under pressure, J. Alloy Comp. 657, 889-892 (2016). 1602. Pigott, J. S., D. A. Ditmer, R. A. Fischer, D. M. Reaman, R. Hrubiak, Y. Meng, R. J. Davis, and W. R. Panero, High-pressure, high temperature equations of state using nanofabricated controlled geometry Ni/SiO2/Ni double hot-plate samples, Geophys. Res. Lett. 42, 239-247 (2016). 1601. Falls, Z., D. C. Lonie, P. Avery, A. Shamp, and E. Zurek, XtalOpt Version r9: An open-source evolutionary algorithm for crystal structure prediction, Comp. Phys. Commun. 119, 178-179 (2016).